A pioneer, Renaissance man, and visionary, Percy Ellis Sutton is a businessman and lawyer who has served as: a Tuskegee Airman, Malcolm X’s attorney, Borough President of Manhattan, and founder of both the Inner City Broadcasting Corporation and Synematics, Inc., a high technology internet and interactive software company. Born on November 24, 1920 in San Antonio, Texas, Sutton was the youngest of 15 siblings. His father was born free, three years before the Emancipation Proclamation. Both parents were educators and business people. Sutton supported himself with odd jobs while attending three historically black colleges: Prairie View College, Hampton Institute, and Tuskegee Institute. He joined the United States Army Air Corps as an aviation cadet and served as an intelligence officer in World War II with the famous Tuskegee Airmen. After being honorably discharged in 1945, Sutton earned his law degree from Brooklyn Law School and passed the New York bar in 1950. He then returned to the military as a trial judge advocate. In 1953, Sutton left the military and, with his brother, Oliver Sutton, and George Covington, set up a law partnership. For many years, Percy Sutton was the attorney for Malcolm X. After Malcolm's death, Sutton continued to represent the Shabazz family, when needed, without cost. The Sutton and Covington law firm, always socially conscious, handled many cases without cost. 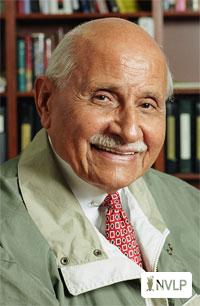 Sutton was elected President of the New York NAACP in 1961 and participated in, and gave leadership to, many civil rights demonstrations and protests. He helped to integrate the Greyhound Bus Station lunch counter in Montgomery, Alabama in 1961. Sutton’s early political efforts were not too successful. But after 11 years (1953-1964) of losing elections, Sutton was elected a New York State Assemblyman in 1964. As an Assemblyman, Sutton was a major supporter of the New York Public Library's Schomburg Center for Research in Black Culture. Another initiative of his was the Search for Education, Elevation, and Knowledge (S.E.E.K.) program, which, today, enables thousands of disadvantaged students to gain a college education. In 1966, the New York City Council chose Sutton to become Manhattan Borough President. Re-elected in his own right by an overwhelming majority, he was, for 11 years (1966-77), the highest elected African American official in the state. In 1971, Sutton founded the Inner City Broadcasting Corporation, which purchased and developed radio stations WLIB-AM and WBLS-FM; making them the first black-owned stations in New York City. In 1981, Sutton rescued from bankruptcy the world famous Apollo Theatre in Harlem. He created the nationally syndicated television show, “It’s Showtime at the Apollo,” and operated the theater until 1991. In 1995 and 1996, Sutton represented the United States as a business delegate to the Group of Seven (G-7) Nations meeting on Telecommunications and High Technology in Brussels, and the G-7 developing nations Intelligence Technology Conference in South Africa, respectively. Sutton has received more than 750 national, international, and local awards. 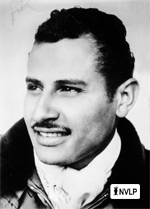 In 1986, Sutton was granted the NAACP’s highest award, the Spingarn Medal. Mr. Sutton and his wife Leatrice live in Harlem and have two children, four grandchildren, and one great-grandchild.